In civil litigation, proof of injuries is a major cornerstone of the evidence required to hold a defendant liable. However, some injuries can easily be misunderstood or misinterpreted, which may lead to an adverse outcome when it is not necessarily appropriate. Nowhere is this more common than with traumatic brain injuries (TBIs), which are commonly undervalued or misunderstood, which causes serious harm to the injured plaintiff. If you are in such a situation, hiring an attorney who understands these serious injuries is a critical step. One of the major issues when trying to bring a case involving a traumatic brain injury is that the symptoms can vary widely, especially depending on how long your case takes to make it to court. Some symptoms may appear mere days after an accident, while others can manifest weeks or even months later. This is especially true for issues in the brain itself; physical injuries to the brain may not yield any symptoms until weeks later when the bleeding or tearing has become a problem. Symptoms of a TBI can also be misdiagnosed as something else. The Mayo Clinic keeps a list of common TBI symptoms, and almost all of them can be chalked up to other conditions – for example, an adult complaining of light or sound sensitivity and nausea might be diagnosed with chronic migraine headaches or sensory processing disorder, when these are also symptoms of a mild traumatic brain injury. Medical professionals sometimes discount the possibility of a brain injury because they are perceived as rare, when in reality they are depressingly common. However, in court, these errors can be used to argue that the plaintiff does not ‘really’ have a TBI or that if they do, the defendant should still not be liable. Another potential hurdle you might have to deal with in court is that persistent misinformation abounds, much of which may conceivably have reached a judge or jury. For example, many people believe that in order to sustain a TBI, one must experience direct impact with their head, such as on a windshield in an auto accident. In reality, studies have shown that TBIs can occur even if no head impact occurs – the link between TBIs and whiplash, for example, has been the subject of study and debate for years now, with mild TBI being a very frequent concurrent complaint for those who are treated for whiplash. Another old wives’ tale about TBIs is that it can always be detected by tools like CT scans, MRIs or EEGs (electroencephalography tests). Especially with cases of mild TBI, this is simply not the case. Visual proof may simply not be there in a TBI case, but under Florida law, it is not strictly necessary to have it – at least for legal purposes, a medical expert’s opinion is enough in most cases to establish that a TBI has occurred. However, jury members may not be aware of this without the proper instruction. 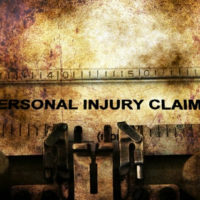 It is not easy to bring any personal injury case to court, but cases involving TBIs can be difficult to prevail upon in particular, just because the nature of a TBI can be hard to pin down and establish to a clear enough degree, let alone going into the potential liability of a defendant. They are, however, possible to win, and contacting an Orlando TBI lawyer today can help increase your odds. Contact the Hornsby Law Group today for a free consultation.